The name Hoja Santa translates to “sacred leaf.” The leaves of the hoja santa plant are heart-shaped with a thick velvety texture. These leaves can grow up to a foot and sometimes more. I find them to be truly beautiful. 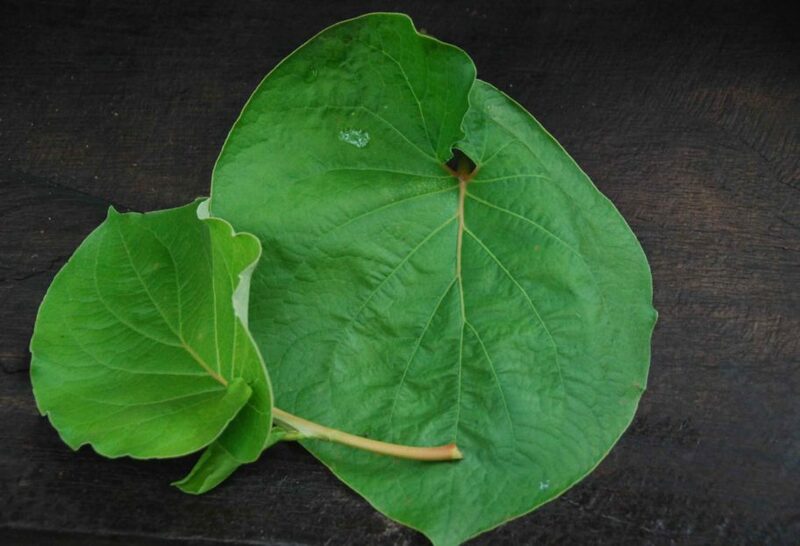 Though hoja santa is found throughout Mexico, it is mostly used in the south. 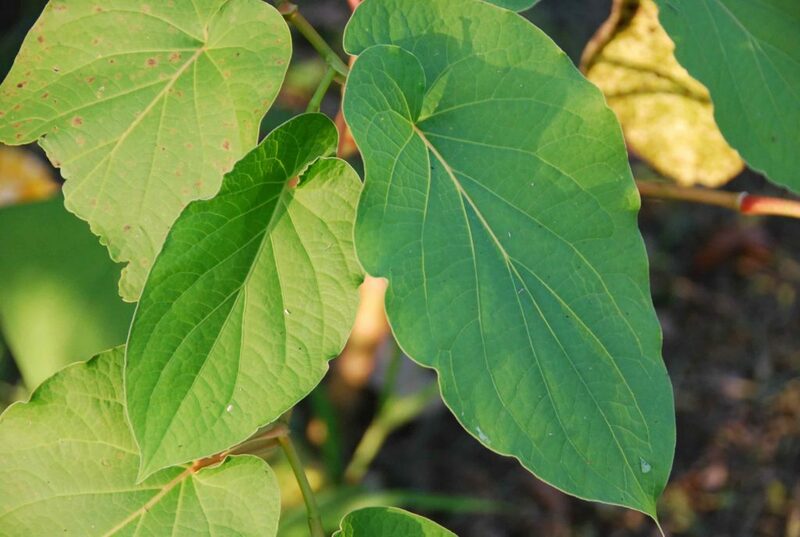 Mexican cooks use hoja santa judiciously not only because of it’s strong, unique, unexpected taste, but also because too much of it is not good for you, just like epazote. Hoja Santa is used fresh and dried in many different ways in Mexican cooking, from tamales to pozoles to moles to soups. It is also wrapped around meat, seafood and around tamales as an edible wrapper, keeping what’s inside moist but also infusing the filling with its peculiar flavor. Getting back to it’s flavor: it’s really hard to describe…aromatic, fragrant with a hint of eucalyptus and a whisper of mint. Some people find it similar in taste to anise. I also find a slight echo of black peppercorn and allspice. The only way for you to find out is to give it a try. Sounds like a great idea… similar taste! hi i am going to try and make mole estilo oaxacano and i can not find the fresh kind here so i bought the dried hierba santa is that ok ? Yes, you can substitute the dried hierba santa! I just searched around Boise Idaho for hoja santa and could not find it. Could you please publish a source to buy this over the internet? Hola Mark, I’m sorry I don’t have a good internet source for hoja santa. Try your local Latino or international markets – and if they don’t have it, ask them to carry it. I just read a recipe for a Margarita that uses this plant. I had never heard of it before. I just watched a cook show where thechef used hoja santa in chimichurri sauce. Where can a buy this plant? I live in Miami. Thank you.